Woo-Woo! Here comes the fun speeding down the track! Rent the train bounce house for your next event. 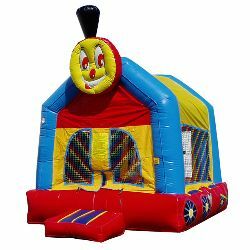 This inflatable jump house is perfect for Thomas the Train Engine & Friends parties.